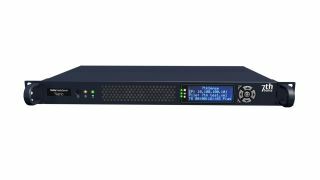 The What: 7thSense has expanded its media server portfolio with the addition of the Nano-SDI Media Server from the Delta Media Server range. The product, an entry-level media server, is an affordable way of introducing uncompressed media playback into workflow for fixed installations. A key feature-set of the new Nano-SDI is extensive control capability. A new, simplified web browser-based user interface has been developed specifically for simple playlist configurations while full Delta GUI control is still available for more complex applications. Network-based high quality preview via web browser plus web control over playback, playlist creation and interface customization makes Nano-SDI a completely versatile option for clients seeking a simplistic yet high performance playback server. Additionally, Nano-SDI boasts a broad range of external control options including TCP, UDP, ArtNet, DMS, Touch, and RS422 Sony Protocol for true flexibility and fast compatibility with most installations. Nano-SDI is available in two configurations: Nano-1-SDI with up to 2KHD@60fps output in both compressed and uncompressed playback formats. Nano-1-SDI-4K is capable of up to 4K@60fps SDI uncompressed output with storage and playback upgrade options available. Both configurations are capable of playing uncompressed or Codec-based media (including MPEG-2, M2V, MP4 and more) and with comprehensive real-time warp and blend features in-built. The Bottom Line: The new features developed for Nano-SDI will be rolled out across the Delta Media Server product range.